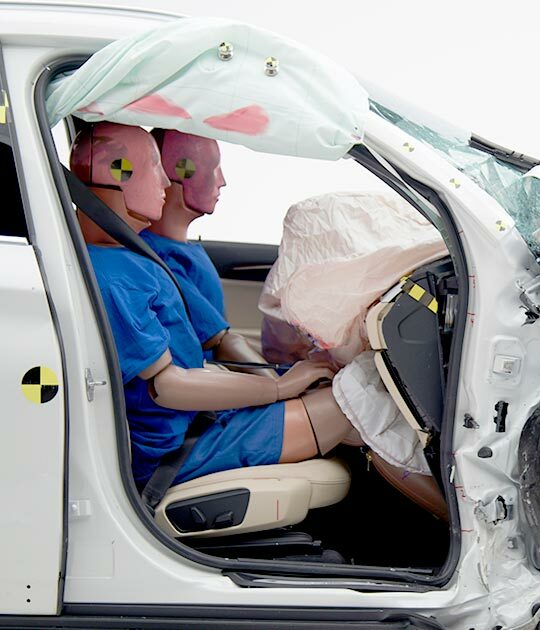 The 2018 Ford Escape is the only Small Crossover tested to earn a "Poor" rating for Passenger side crash protection according to IIHS. The 2017 update reinforced the driver side to earn a Marginal rating but not the passenger side. 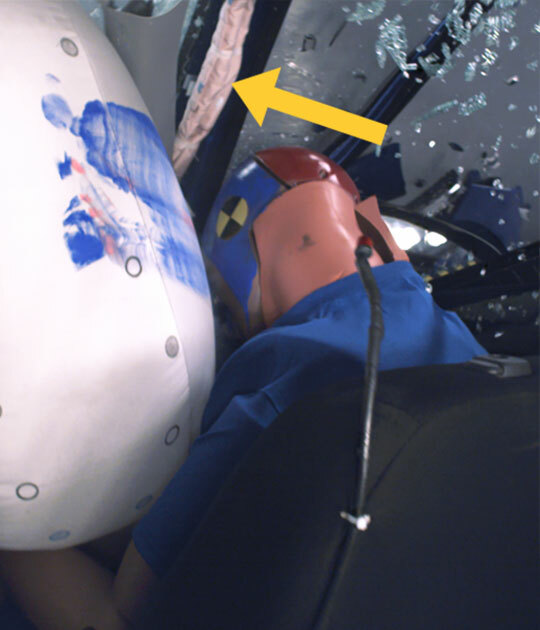 The Side curtain Airbag also failed to deploy which contributed to the poor rating. Regrettably, this isn't the first time Ford has been caught cost cutting on crash reinforcements. Last edited by Assimilator; 04-04-2018 at 11:23 AM. Stupid that they'd only do the drivers side. Bloggin and iculookn like this. That's why Ford needs a tremendous amount of scrutiny. I don't mind if they do this but I just want to know. Ford has probably determined that acing safety tests it not a key deciding factor for its customers so it spends as little as possible. I know Ford has largely underperformed in safety scores but Lincoln has done a good job making those needed improvements which is important to me and why I would only buy a Lincoln. Hopefully Co-Pilot360 is an sign that things are changing at Ford and safety design is becoming a higher priority. I suspect the EcoSport will be another flunky, not to mention it has very little in the way of available or standard safety equipment relative to its segment mates. Last edited by Assimilator; 04-04-2018 at 02:17 PM. I have a safety thread if you want to expand there as well. @Assimilator, I've mirrored your post to Ford Safety. Last edited by Nihar Mazumdar; 04-04-2018 at 05:16 PM. Complete nonsense. Literally. The difference between ratings is so marginal that anyone who believes you are less safe in a an Escape compared to ALL the competition, is dillusional. "The 2017 update reinforced the driver side to earn a Marginal rating but not the passenger side." Ford got caught in their deception knowing fuel economy numbers were NOT the same for Fusion Hybrid as for C-Max hybrid, then reinforced half and only one body style of the F-150 to get better results in the crash tests and got caught, and now got caught doing the same with Escape. When will they ever learn. It's got to me more expensive to take the reputation and sales hit from getting caught in deception, than to just build a safer product overall, without having to be forced to do so. Ford apparently only reinforced the driver side (left side), was this exclusive to North American made models? What about the Kuga which is built in both left-hand drive and right-hand drive forms? Hopefully all upcoming new Fords are equally safe on both sides, they should focus on being class-leading in safety. Last edited by AM222; 04-04-2018 at 07:00 PM. Goodness, you're walking right into this one. Last edited by Assimilator; 04-04-2018 at 07:46 PM. Things like this are why you DON'T fanboy a corporation, these decisions are made with full awareness of the consequences to their customers. You criticize and hold them accountable and praise them when they do the right thing, you don't ignore/forgive/excuse. Safety is my highest priority and if there is a significant differential like this, then it's inexcusable and why I get especially vocal about it. I understand why people like Wings see no fuss here, best safety is not important to all customers...neither is best quality, best performance, best fuel economy. There is a car for everyone. Last edited by Assimilator; 04-04-2018 at 08:12 PM. Even if you give Ford as pass on updating both sides, what about "the side curtain airbag didn't deploy" issue? 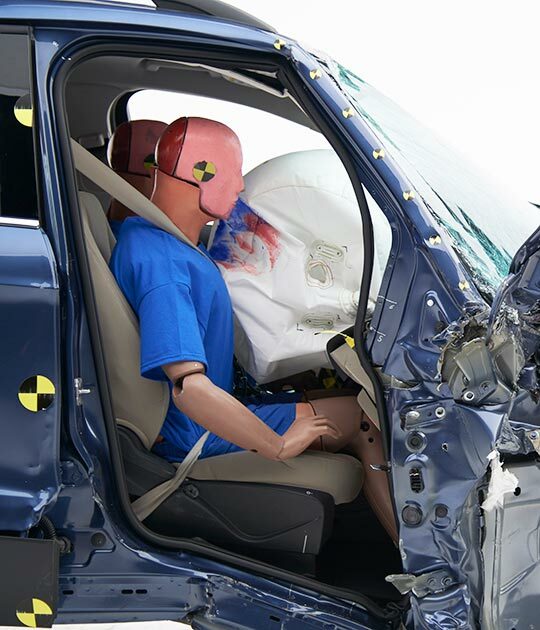 This statement "Ford says "Safety continues to be one of the highest priorities in the design of our vehicles. We are committed to designing and building vehicles that meet or exceed applicable laws and regulations across the globe." I find disturbing in that they say safety is "one" of the highest priorities. Should it not be the number one? Or at least say it in your PR releases when **** like this is reported to the public.